The Australian PC manufacturer Pioneer Computers has introduced a new high-performance laptop in the company’s home country. 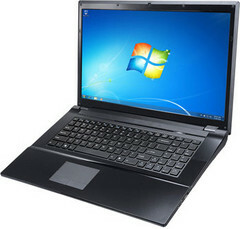 Called DreamBook Power W27CR, this device is now available for purchase and has a starting price of AUD 599. As usual with portable PCs from Pioneer Computers, users can build their own system and choose from a wide variety of upgrades. The W27CR model can be driven by up to a third generation Ivy Bridge Intel Core i7-3820QM central processing unit that offers four physical cores clocked at 2.7GHz, the Intel HD 4000 graphics controller, 8MB of Level 3 cache and 45W max. TDP. However, opting for this chip will set you back additional AUD 649. The base configuration includes a 17.3-inch LED-backlit widescreen display of HD+ native resolution (1600-by-900 pixels), but the maker claims the W27CR can also be equipped with a Full HD screen. In addition to the integrated video card, the laptop sports a discrete NVIDIA GeForce GT 630M GPU with 1GB DDR3 VRAM. Built around an Intel HM76 Express Chipset, the new member of Pioneer’s DreamBook Power lineup comes loaded with up to 8 gigs of 1600MHz DDR3 RAM, up to 1TB hard drive (or up to a 240GB SATA3 SSD), Wireless LAN 802.11 b/g/n and Bluetooth 3.0+HS radios. Moreover, it packs two USB 3.0 ports, one eSATA port, an HDMI output, 9-in-1 memory card reader slot and a 2MP web camera. Reportedly, the notebook weighs 3kg with the built-in 48.84WH battery that has an autonomy period of up to 280 minutes, runs on a 64-bit Windows 7 OS and features Intel’s Anti-Theft Technology that you can utilize to remotely execute a complete system lockdown (in case your laptop gets stolen).